The 100 percent figure, however, only applies to Apple's own facilities, and not to its various partners in manufacturing and other operations. 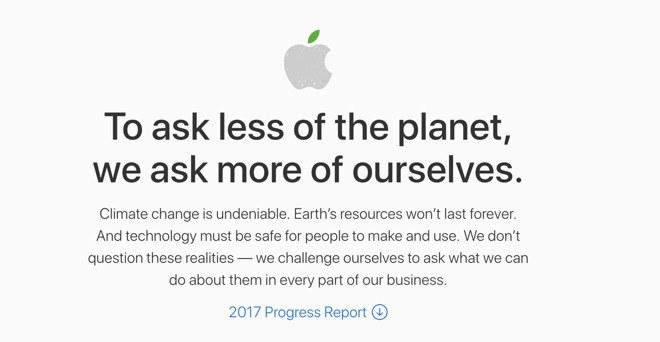 But Apple has also convinced a total of 23 companies — including nine new ones — in its supply chain to make a 100 percent energy pledge. The company has accelerated those efforts under Cook. Apple has continued to push the button on green energy and assembly. The company hired Lisa Jackson, the former EPA administrator in the Obama Administration, as its vice president for sustainability and government affairs, and early last year it a $1 billion bond to finance green energy products.